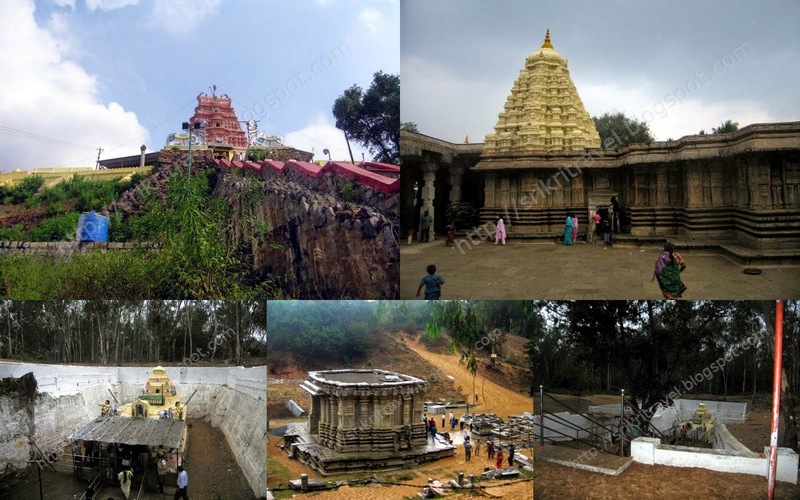 Talakad is famous for Panchalingam - Vaideshwara, Arkareshwara, Maruleswara, Pathaleswara and Mallikarjuna temples. These Panchalingas are said to be the five faces of Lord Shiva. 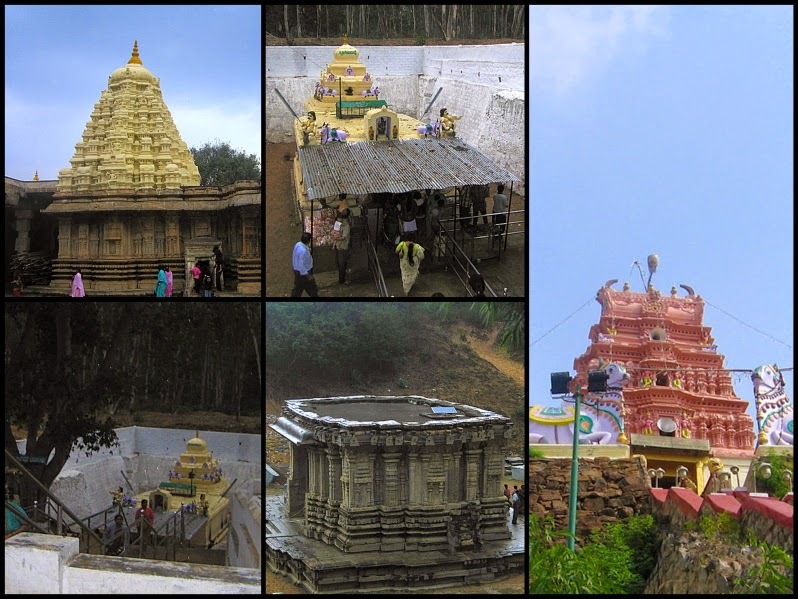 All these temples are located within a radius of five km. It is said that these temples were buried inside the sand dunes and was later excavated. Talakadu Panchalinga Darshana Mahotsava is celebrated once in 12 years. Talakad is about 130 Km from Bangalore and about 30 Km from Shivasamudram (Barachukki falls). Our first visit was to Mudukuthore’s Mallikarjuna Temple. The place gets its name Mudukuthore from the river Cauvery as it gets a turn and flows forward. In Kannada, Muduku means 'Diversion' and Thore means 'flow forward'. Mallikarjuna got its name from the legend of story Mahabharatha. Arjuna, stayed here on the hill and carved the idol of Lord Shiva and performed pooja with "Mallika pushpa" (Jasmine flower). Due to this the Lord Shiva is named as Mallikarjuna. This is a hill top view temple. The deities are Brahmaraambika Amman and Shiva Lingam. After our darshan we went to Cauvery River at Talakad at about 2:30 pm and swamped our self in the river. We played in the river with ball for almost 2 hours. The weather was cloudy and started raining. Hence we stopped playing and proceeded to Vaideshwara swamy, Pathaleswara, Maruleswara and Kirtinarayana temple. It is better to wear footwear as there are many thorns on the way. We skipped Arkareshwara temple and were back to car at 5:30 pm fully drenched in rain. In few minutes after that, the visibility was very poor (less than 100 meters) due to heavy pouring. We had to follow vehicle in front of us for nearly 60 Km in constant speed without any stop. It was like driving blind folded for nearly 2 hours :). Any mistake, we would have been in soup. Somehow we reached Maddur and had some snacks and took rest before leaving to Bangalore. We reached home about 11 pm.